Just so you know. Every Wednesday at JessicaSprague.com you can purchase what is called Photoshop Friday for ONE DOLLAR. (I have no idea why Photoshop Friday is on Wednesday but let's look past that.) Why is this so great you may ask. Well, you pay a buck and you get a tutorial, a template, a printable instruction sheet, and all the supplies to make a layout. One dollar people. You can't beat that. The above layout was done using Photoshop Friday No. 12. The lesson was on rounding corners. Past lessons have included making scuffy edge photos, making a storyboard, curving your journaling, using brushes, and many more. You're so crafty! Seriously wish I was...I love your layout. This blog is super cute. 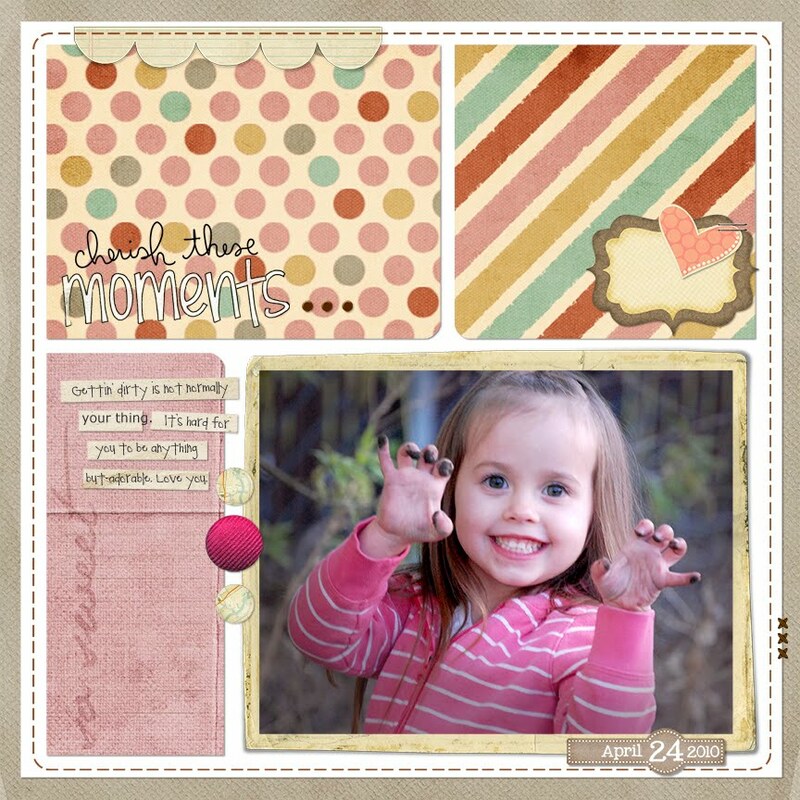 Wow.. love these two pages.. but the one with my grand daughter is so nice... love the colors!.. Great job Moni..